By the world’s standards, acting legend Steve McQueen had it all. But it wasn’t until he placed his faith in Jesus that he found the ultimate source of satisfaction. In this new book, Pastor Greg Laurie (with Marshall Terrill) tells the little-known story of McQueen’s life-changing encounter with Christ. What were the critical steps that led McQueen to make such a life-altering decision? Perhaps more importantly, why is that part of his story so rarely told? This book answers these questions and more. 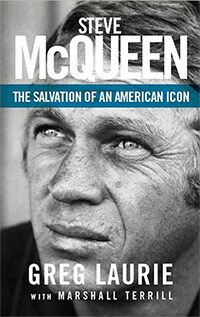 You can download the first chapter of Steve McQueen: The Salvation of an American Icon for FREE.